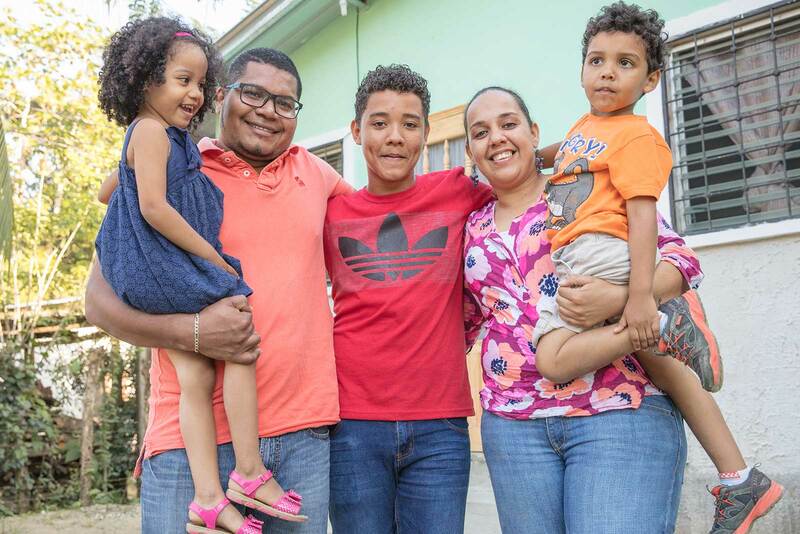 Through our unique affordable homeownership program, we offer families a hand up, empowering them to build strength, stability and self-reliance. Applicants’ must not be eligible for a conventional mortgage, and currently live in conditions that are inadequate and/or unsuitable. Habitat partner families must be able to make mortgage payments to Habitat for Humanity NL, and must fall within income criteria based on family size. Habitat Partner Families contribute 500 hours of sweat equity to Habitat NL, either through the construction of their own home, the homes of other Habitat famililes, the ReStore, or other Habitat NL initiatives. Habitat Partners must accept the responsiblities typical of home ownership: adequate insurance, regular upkeep and maintenance, etc. are the responsibility of the home-owner. Homeowners must keep the home in an appropriate condition. Habitat NL offers Habitat for Humanity Homeowner Workshops prior to home completion. Habitat Partner Families must be willing to promote the cause, benefits and goodwill of Habitat for Humanity NL which can take the form of publicity (media, promotions, seminars, testimonitals, etc.). Applicants must have lived in in the build area for at least two years prior to the date of application. Applicants must not have held a mortgage in the past. Fill out the Expression of Interest form. By completing this Expression of Interest form you are indicating that you are interested in homeownership with Habitat for Humanity for Humanity Newfoundland and Labrador (HFHNL). This form is the first step in the application process. HFHNL will review the information you provide to determine if you are eligible to apply for a Habitat home. All information collected is kept confidential. For assistance completing the Expression of Interest Form, contact Lori Ledrew. If you are encouraged to proceed, you will then be contacted to attend a family information session to find out more information. The information session is approximately one hour long and will provide you with an overview of our Homeownership program, the application, and selection process. At the family information session, you will receive a more in-depth application form. The Expression of Interest Form must be printed and signed to be completed. This completed form can be forwarded to our office via mail, email or fax. After you submit your Expression of Interest for a home, you will be contacted and instructed on whether or not to proceed. (After you’ve been instructed to proceed). If you are encouraged to proceed, you will be contacted to schedule a homeowner’s information session where the application and consent form will be given to you. For assistance completing the Expression of Interest Form, contact Lori Ledrew. E-mail: lledrew@habitatnl.ca. Submit an application form with all required documents. All applications will be reviewed by a committee of volunteers called the Family Selection Committee through the Habitat NL screening and assessment process. This process could take several months and it involves reviewing, verifying documents submitted and other means as determined by the Family Selection Committee. The Family Selection Committee will conduct interviews with families who are screened into the process and eligible based on the documents received. Upon completion, a recommendation will be made to the Habitat for Humanity NL Board of Directors for a final approval. Partner family will then be notified of approval of the application .